Ashley J George | AD-ventures of a Creative: Countdown to Easter: Powder Puff Anyone? 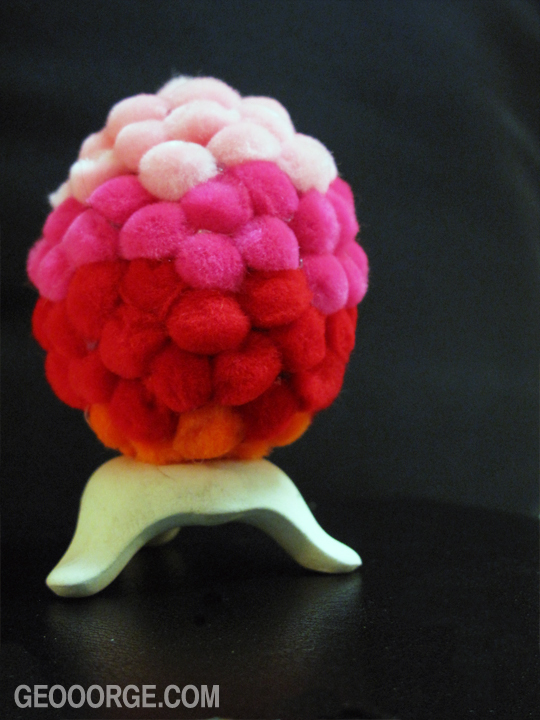 I wanted to work with small pom-poms to see how they would form in the way of an egg. You can decide for yourself whether it was a success or a failure. I can say that the egg has grown on me over time, it might for you as well. Enjoy!